Quebec Premier Francois Legault is downplaying fears that his government's decision to cancel a backlog of 18,000 immigration applicants will leave them in limbo. Last week the CAQ government tabled Bill 9, which sets out new guidelines on how it will select immigrants who chose to move to Quebec -- by matching immigration applicants with the needs of the labour market instead of on a first come, first served basis. At the same time, the government announced it would refund $19 million in fees from applicants, some of whom are already living in the province. With family members, that represents 40,000 immigrants. On Monday, Legault reiterated his support for the new plan, saying it was the most efficient way to handle the lengthy backlog of applications. "Instead of going on a chronological way, we'll answer the market needs to choose those people. So I think in Quebec, we know many companies, and even organizations like in the health sector are missing employees. They are missing, or looking, for more employees," said Legault. The change won’t affect refugee seekers and those under the federal government’s family-reunification program. This change of policy creates a new level of insecurity for those already in Quebec. 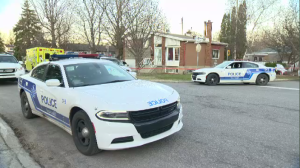 Mahsa Moosavi and husband Hassan Rahbardar Mojaver arrived in Quebec five years ago and were on that waiting list. “We wanted to stay. That’s why I did my Master’s. I could have gone to work directly but I wanted to stay here, so that's why I started my PhD and we applied 18 months ago and we were learning French,” she said. Qualified applicants might find the new system faster than the previous one, said Legault. “If you have a job or if you're looking to fill a job in Quebec, it will be less than six months to be accepted,” he said. The policy change means Moosavi and Mojaver, who is a post-doctoral student at Concordia, are rethinking their commitment to Quebec. “Moving from Quebec is sad for us,” said Mojaver. “But what else can be done?" Legault blamed the previous Liberal government for the backlog, while over the weekend former cabinet minister Dominique Anglade said the move will put the lives of 50,000 people on hold. “The ones to blame are the Liberals who took years before answering 40,000 people waiting in line,” he said. 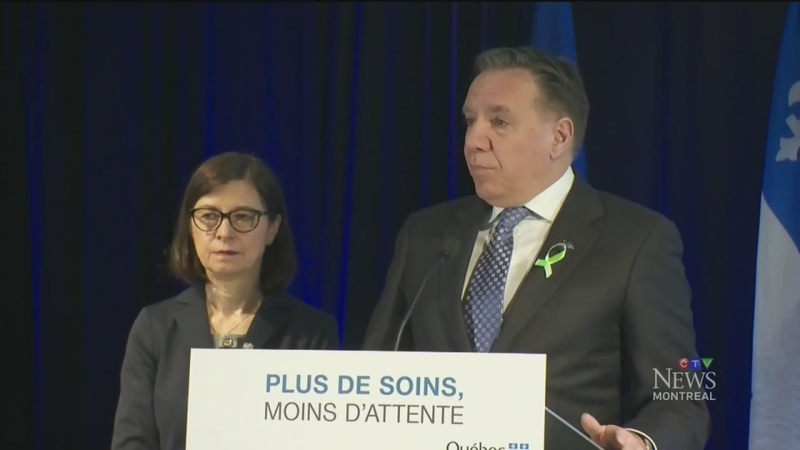 The CAQ has already said it wants to cut back on the number of immigrants to Quebec, from 50,000 per year to 40,000, despite the province's ageing population and shrinking workforce. Many people who were on the immigration track are now worried their residency and work permits will expire before they are granted citizenship.